Think about it is World Cup - and nearly nobody is coming. 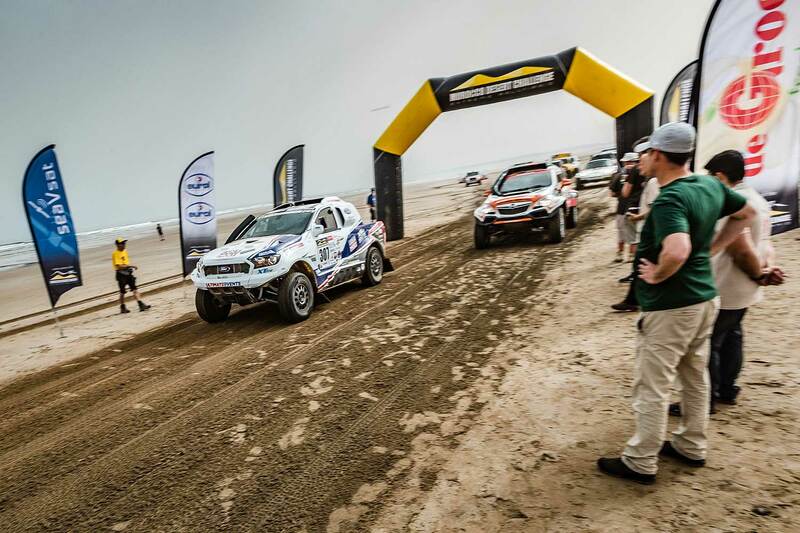 The Qatar Cross Country Rally (April 17-22) marks the fourth round of the FIA World Cup for Cross Country Rallies and second round for the FIM World Cup for Bikes and Quads. But it looks like, the World Cup is becoming more and more dead. 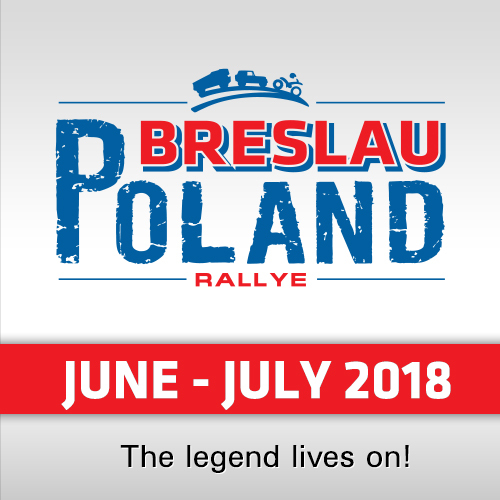 While private Rallies like "Morocco Desert Challenge", "Merzouga Rally", "Tuareg Rally", "Breslau Rally", "Albania Rally", "Balkan Rally" etc are all crowded with 100+ competitors, the FIA / FIM Rallies this year only counts a handful of competitors. Or nearly no competitors. Like in the Bikes in Qatar. It´s World Cup time - and we have one competitor. Yes, officially announced: 1. Plus two Quads. 2! In the Cars and SSV it´s nearly same boring. 17 Cars, 5 SSV. 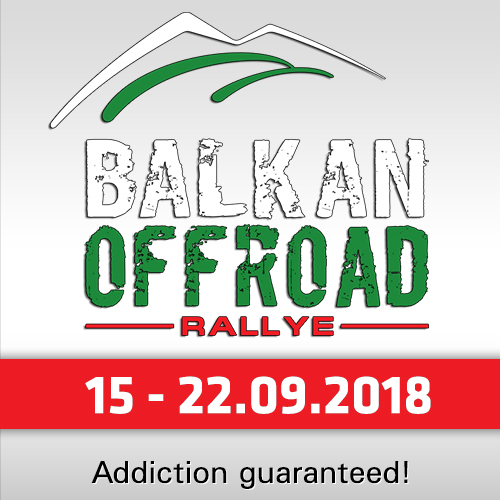 We can count 5 Toyota Overdrive (Al Attiyah, De Villiers, Domzala, Seaidan, De Loon), 2 X-raid Mini (Vasilyec, Przygonski), the Ford of Martin Prokop, the VW Amarok of Fernando Alvarez, the all-times-fighter Barbu / Spiridon from Romania (Nissan Navara T2), Georgy Gomshiashvili in a Predator Buggy, the T2-Toyota of Russian Yuliya Migunova-Khegay, the T2-Nissans of the local Adel Abdulla and the Saudi Ahmed Alshegawi, the T1-Nissan of the Saudi Khaled Alferaihi, the Jeep Wrangler of Abdulla Al Zubair (Oman) and the Toyota of local Khalid Al Suwaidi. The World Cup is expensive. Too expensive. The travel procedure time-intensive. The regulations complicated. For that, the media coverage is poor. This is why the private Rallies are exploding. Morocco Desert Challenge: 195 Teams. 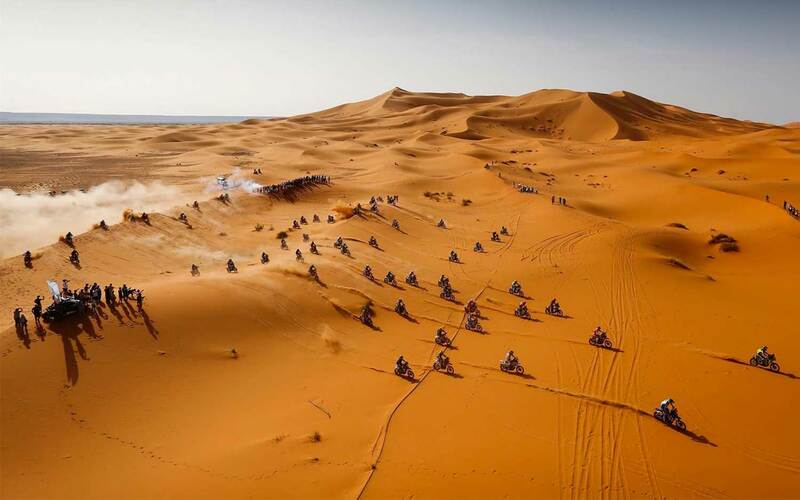 Merzouga Rally founded by biker Edo Mossi and today ASO: 127 competitors and all important factory teams (KTM, Hero, Husqvarna, Yamaha, Honda, Sherco, Beta). And all in the same time, two rallies also in the same country. 322 Competitors in private Rallies. 25 Competitors in FIA/FIM. Time to think about the World Cup. So or So: Next week with the Qatar Cross Country Rally, the Morocco Desert Challenge and the Merzouga Rallies we will see three Marathonrallies in the desert, which is great. 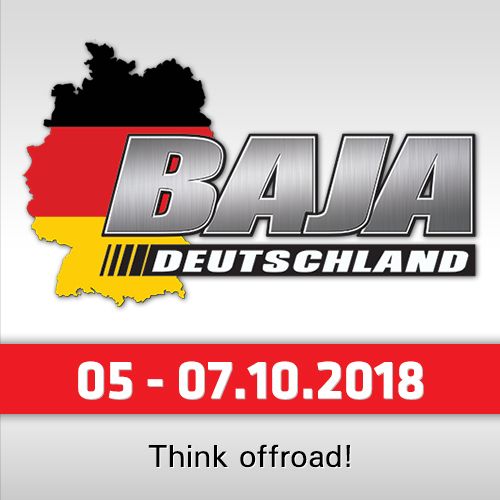 Stay tuned for a great week of real Rally Raid / Cross Country / Marathonrally Motorsport.